Lady of Perpetual Chaos: Halloween Giveaway! I love Halloween. It is seriously one of my most favoritest holidays. CG and I got engaged on Halloween. That's how fabulous this holiday is. So to celebrate this wonderful holiday I decided to do a little giveaway. Nothing fancy....I raided the Target $1 section and the dollar store....but still lots of fun. And very necessary to the proper celebration of Halloween. I present to you the Official Perpetual Chaos Halloween Starter Kit! It's filled with all, okay some, of the necessities for Halloween including, but not limited to, socks with pumpkins on them, pumpkin post-its and a whoopi cushion with a pumpkin on it. Classy. Now, for the legal details of this giveaway.....here's how to enter. Want more than one entry? Become a follower & leave a separate comment. If you already follow, just leave an additional comment letting me know. 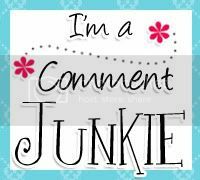 Blog, Facebook, or Tweet it and let me know by leaving a comment with a link. Now I know y'all are just desperate to win this giveaway. But please no pushing, shoving or obscene gesturing to get ahead of all the others trying to win. The giveaway will be open until Friday October 9, 2009 at 10 pm. Or whenever I close comments and pick a winner. Winner will be randomly chosen by our friend Random.org. Or by one of my children if I'm not able to figure out how to use Random.org. Just tweeted about it ! :) Good luck! halloween is the begining of my "decorating season". Fun! I want some Halloween goodies! I would love a pumpkin whopee cushion! I will have to settle for one entry, because I'm not on Facebook or Twitter. I want that whoopee cushion. I've already named my right ovary after someone, but I will name my left ovary after you if I win. Put me in! I don't blog or tweet so I guess we just get one entry. Halloween is my favorite, too! I have almost more decorations for Halloween than I do for Christmas. Add me to the list! Kevin would really love that whoopie cushion. Count me in! And I'll follow too! woohoO!